Harley Quinn is a character I’ve never been able to fully understand. She was introduced in The Animated Series as Joker’s “special lady,” but he never seemed to keen on the idea. In the beginning The Joker just seemed like he was using her to get things he wanted. Which in her back story, is true. Doctor Harlene Quinzell worked at Arkham Asylum as a psychiatrist talking to the patients there. Then Joker became one of her patients, and he told her things to manipulate her into sympathizing with him. Long story short, she eventually helped him break out and quit being a professional to be… arm candy for Gotham’s greatest villain? When Harley is with The Joker it can feel that way. Sometimes she has some insight into what joker has planned, but for the most part is just another member in The Jokers gang. Just when you think she’s all about her “Mister J”, Harley got some Quality time with the girls. In this case “the girls” are Poison Ivy and Catwoman. Harley takes on a one of the girls personality. As you could guess. The trio hasn’t happened that often as of late in the New 52, but I think it’s fun when they get together. 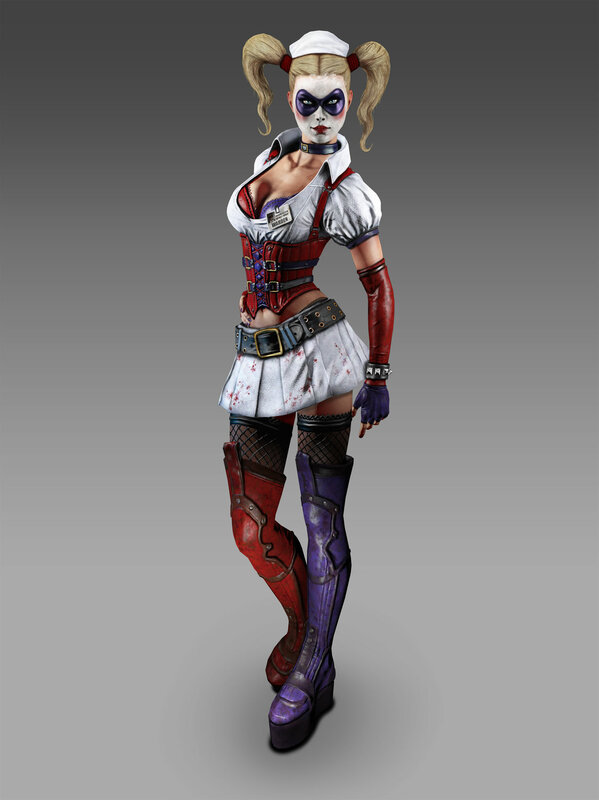 Then there’s a third side to Harley. Solo, she can be drastically different from either of those, or be an extreme case of either. Quinn’s ongoing series has been good and is something I try to keep up on, but I’m behind on most things. It’s kind of hard to put your finger on why or why not you like something that can have such drastic swings in personality. Sure when she’s cuddling up to the joker can be a little one note, but her gallivanting in her own adventure is a lot more fun giving her a more rounded personality. 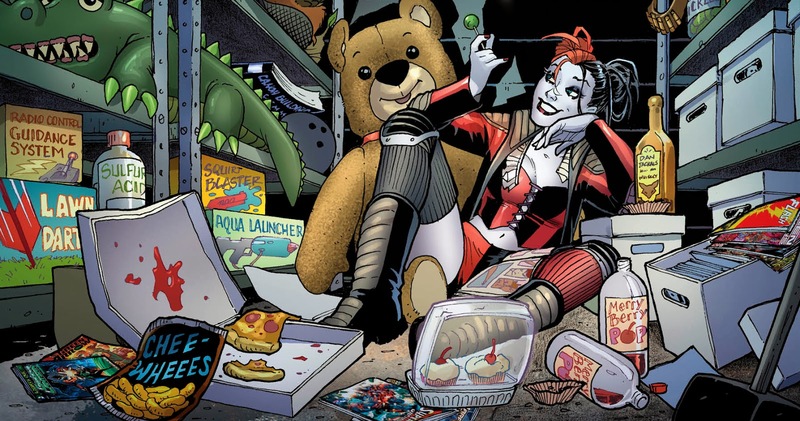 Harley Quinn was not only in her own book, but she also had a pretty major role in Suicide Squad. I think she was the leader at one point. However just like her solo series I’m so far behind that I don’t know what’s happening. I would say that, if you like the unpredictability of what the joker has try Harley’s solo book. It’s different enough to not feel the same, but has a familiar root.